Last full day in NC! 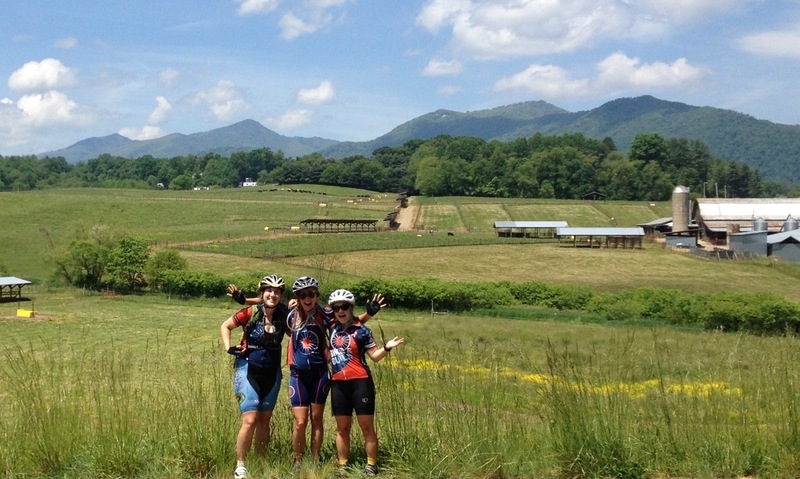 Day 14: Asheville to Waynesville, easy 30 mile ride! Well, maybe not easy… We’re still in the mountains so there are plenty of hills to climb. 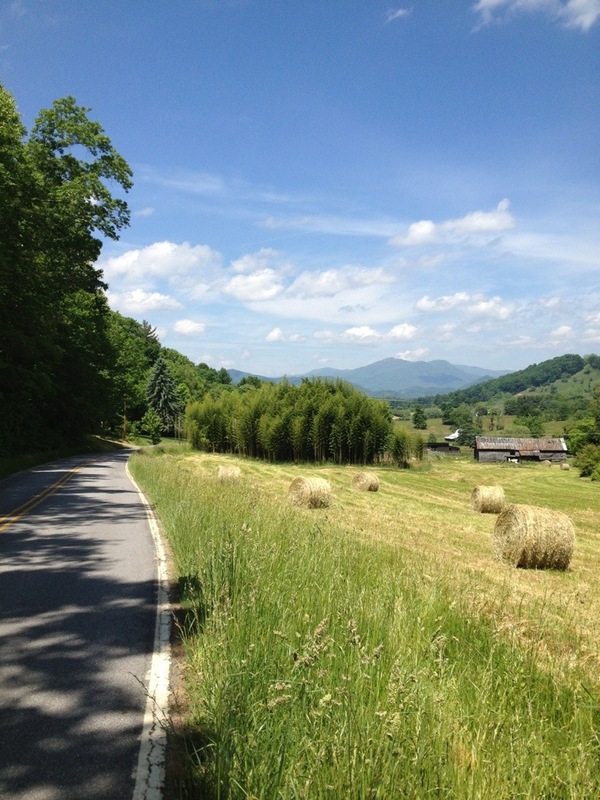 But the country mountain roads were stunning as usual and I just kept thinking about how awesome this experience is and how lucky I am that I get to do this. 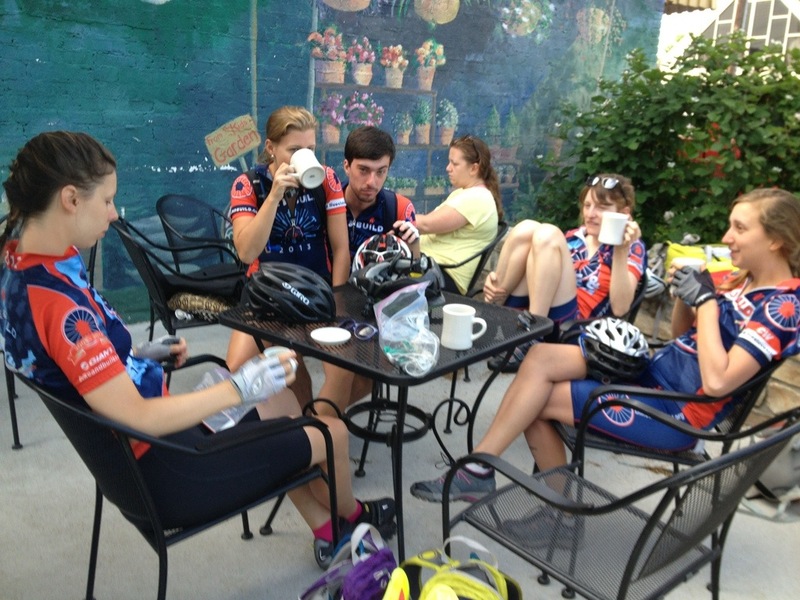 We started out our morning ride with a coffee stop at West End Bakery in West Asheville. We told them about what we were doing and they gave us free coffee! 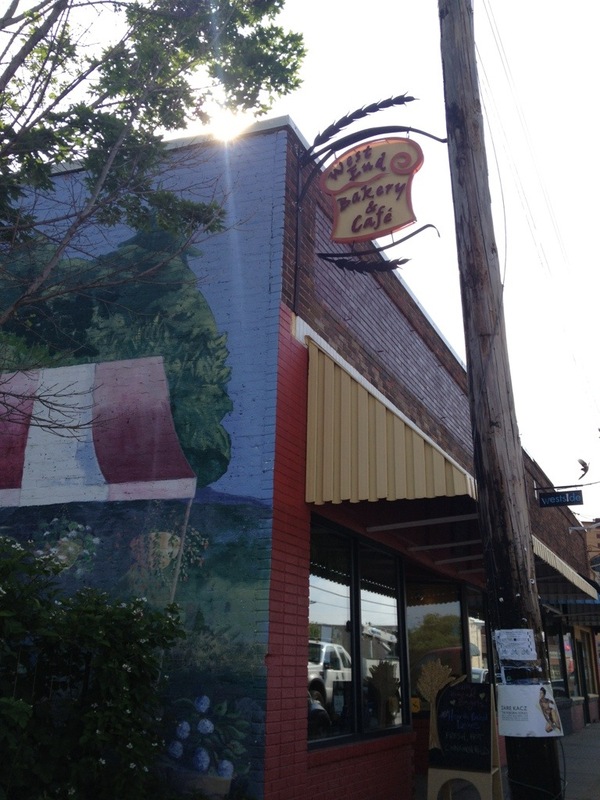 If you’re ever in Asheville, I would recommend this place! The roads were beautiful! Mountain road riding is my favorite kind of riding. 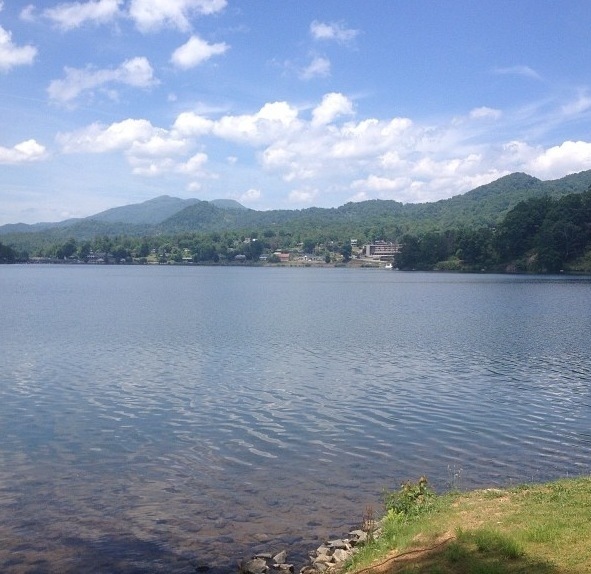 We biked a little ways past Waynesville so that we could spend the afternoon hanging out at Lake Junaluska! We wanted to spend some time swimming in the lake, but after several of us had gone for a quick dip or just put our legs in, we were told by a park security officer with a heavy southern accent that there were “snappin’ turtles the size of truck tires” in the lake. We got out of the water pretty quickly. At the lake, we had a “town hall meeting”, which is what we call our once weekly group meetings. We all went around and said our “highs and lows” of the past week. 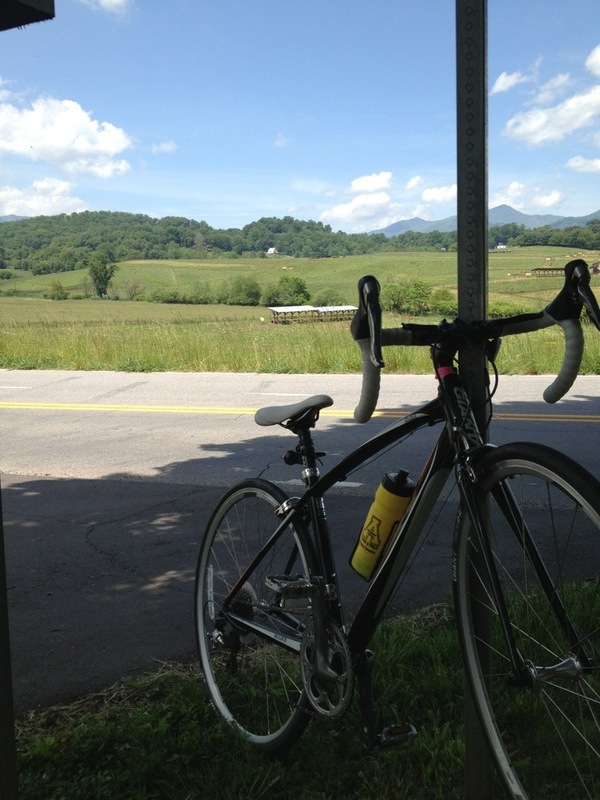 My low was usually eating too much at lunch and feeling the weight of it afterward on the second half of the ride. It’s something I’m working on. My high was conquering that mountain up to the Eastern Continental Divide on the way to Asheville!! 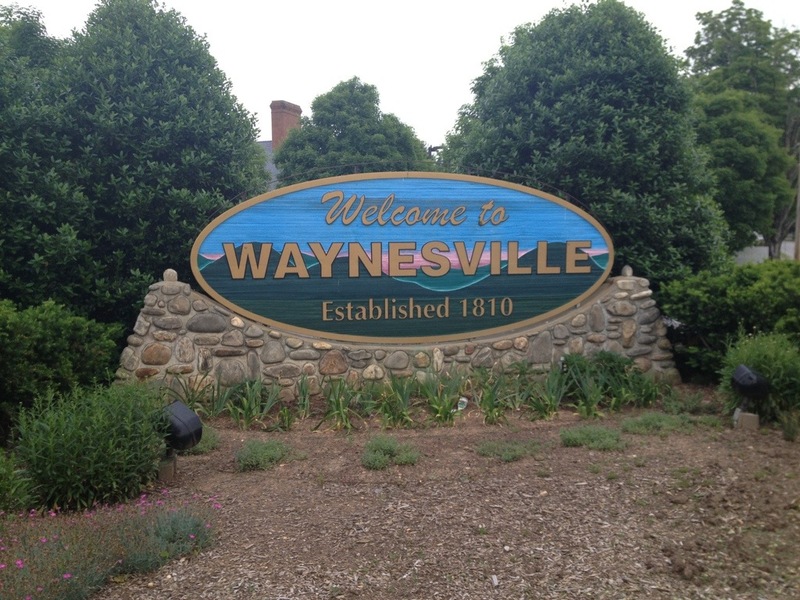 After laying out in the sun for too long, we made our way back to Waynesville to the church we were staying at for the night. We got a free meal donated to us all by Zaxby’s thanks to some of our guys who DM-ed it when they first arrived in Waynesville. 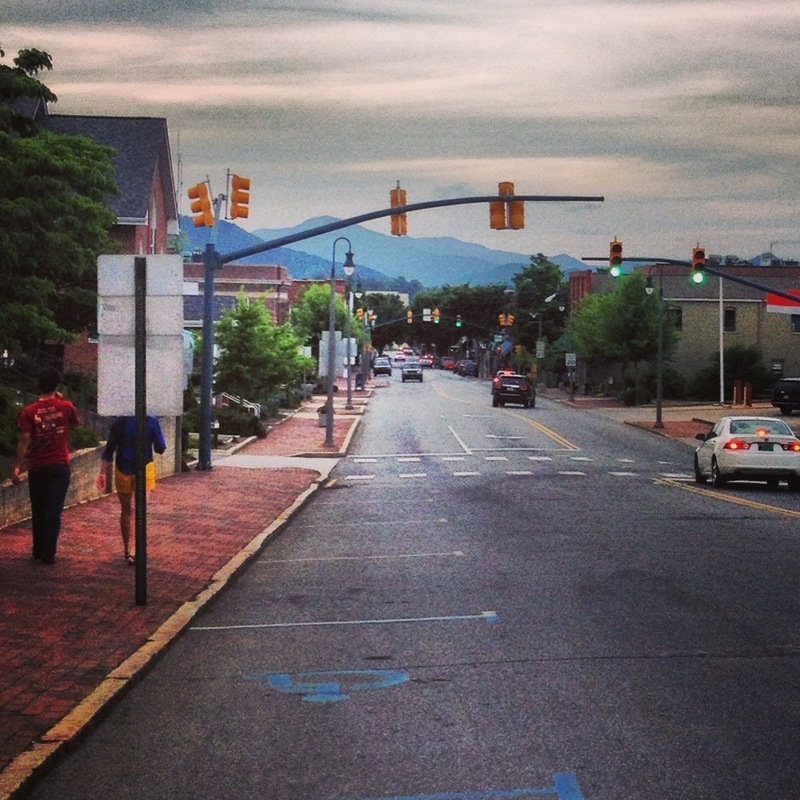 We walked through downtown Waynesville, which was much MUCH cuter than we were expecting it to be! We called it a night pretty early in preparation for a 70 mile ride to Gatlinburg next day!! Goodbye North Carolina, hello Tennessee! This entry was posted in On the road! on May 31, 2013 by murphykg. I am simply in awe…one state down 6 or 7 more to go! Thank you for keeping the blog up, it helps me to worry less! I think about you often throughout the day and while I will admit I worry but I know you are with a GREAT GROUP OF PEOPLE who have your back! Be safe, enjoy and ALWAYS REMEMBER WE LOVE YOU! Prayer for all of you for a continued safe but fun journey! Oh I am heading out on a little adventure myself, NJ bound with Grandma, 5 states in 8 1/2 hrs in an vehicle with a/c wish me luck! I am so happy for you ! Your grandma Irma and I talk every day, except for the next few days, she’s with your dad in NJ! I read your dad’s comment , and I agree. We all feel better knowing you are with a great group of people. My kids are grown, and I still worry about them, too. But, I don’t think my boys would EVER do something of this magnitude! And they are pretty darn physical. Have a great day. Do you ever get just one day of down time?